The month, as every year now, will be marked by the celebration of jazz on April 30th. UNESCO declared this date "International Jazz Day", and this is an opportunity for the Jazz Station and Les Lundis d’Hortense to mark the occasion. Two Belgian groups that will make you reconnect with the traditions of this century-old music : Pascal Mohy and Natacha Wuyts ! Who says jazz festival says anthology of discoveries. We let you choose (or take everything) between album releases (Laurent David, Jérémy Dumont, Aerie), new projects (Casimir Liberski, Romain Pilon) and new talents to watch closely (Téo Crommen, Tamara Mozes, Théo Zipper). It will also be the moment to launch a brand new project. It’s springtime, what the hell, we want new ! Far from resting on its laurels, the Jazz Station, therefore launches a nascent concept : "Jazz Lines". Multimedia project (radio and video), it will propose a space of experimentations and speech, like the values of our association : sharing, discovery, respect of the musicians and opening to the different facets of the jazz. 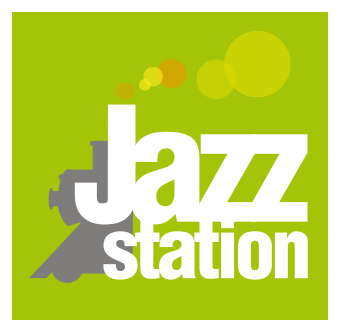 A room on the last floor of the Jazz Station has been completely redone, and would be the ideal space for a new small studio, a meeting place and, why not, a room for musical experiments. We are pleased to be able to count on prestigious and exciting partners : Les Lundis d’Hortense, Théâtre Marni, Liège Jazz House, L’An Vert, La Chambre Verte, Spinach Pie Records, Igloo Records Hypnote Records, Aubergine and personalities like Jacques Prouvost, Patrick Bivort, Bertrand Squelard, Georges Tonla-Briquet and Jean-Pol Schroeder. It will be a collaborative project, open and free. For this purpose, and to be able to launch the project, we will need help. A crowdfunding is launched, and all support, all sharing will be more than thanked ! If the project tempts you or could interest someone around you, do not hesitate to talk about it ! Visit our website or the networks to find out more !